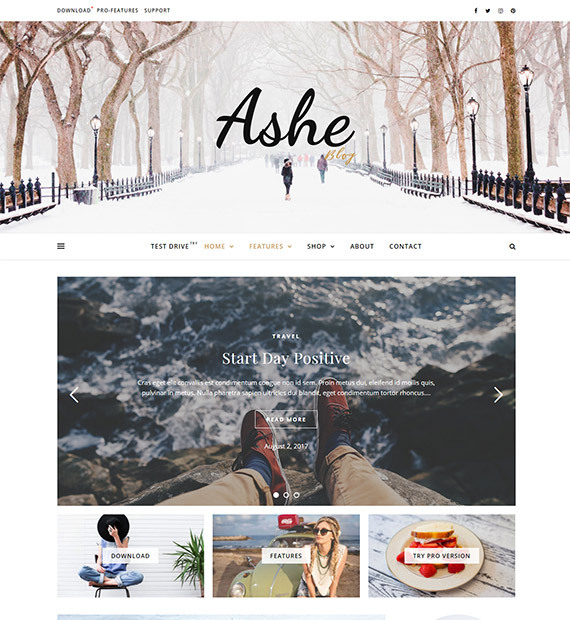 Built with clarity and responsiveness in mind, Ashe is a great theme for Blogs. It features a Personal as well as Multi-author design, making it a great choice for any form of blogging. It’s feature slider Promo-boxes design gives your homepage quite a cool looking look. The SEO optimized theme comes with much-needed page customization as well as features such as translation ready design and WooCommerce support.